Versatile ribbon microphone with gentler proximity effect. The R84 was designed to be flexible and practical in a myriad of recording settings. It delivers exceptional headroom while maintaining an intimate performance quality with smooth highs and extended lows. These aspects, combined with the reduced proximity effect, make the R84 incredibly well suited for both close-up and ambient mic applications. It’s just as versatile as an R44, flattering voice, strings, brass and drums alike. The AEA R84 uses a 2.35 in. by 0.185 in. by 2-micron pure aluminum low-tension (16.5 Hz) ribbon element, just like the classic R44. Many ribbon mic manufacturers choose shorter ribbons that are easier to install, but AEA’s Large Ribbon GeometryTM design offers important advantages. Ribbon microphones operate linearly above their resonant frequency, unlike condenser or moving coil transducers, so the resonant frequency of a good microphone design should be as low as possible. The longer the ribbon, the lower the resonant frequency will be. The ribbon has to move twice as far for every drop in octave as it vibrates within the magnetic gap, thus, a longer ribbon will allow for further movement back and forth. This results in the ribbon handling louder sound sources and more sound pressure level. In 1976, when General Electric bought RCA and closed down its microphone division AEA began servicing RCA’s legendary ribbon mics. 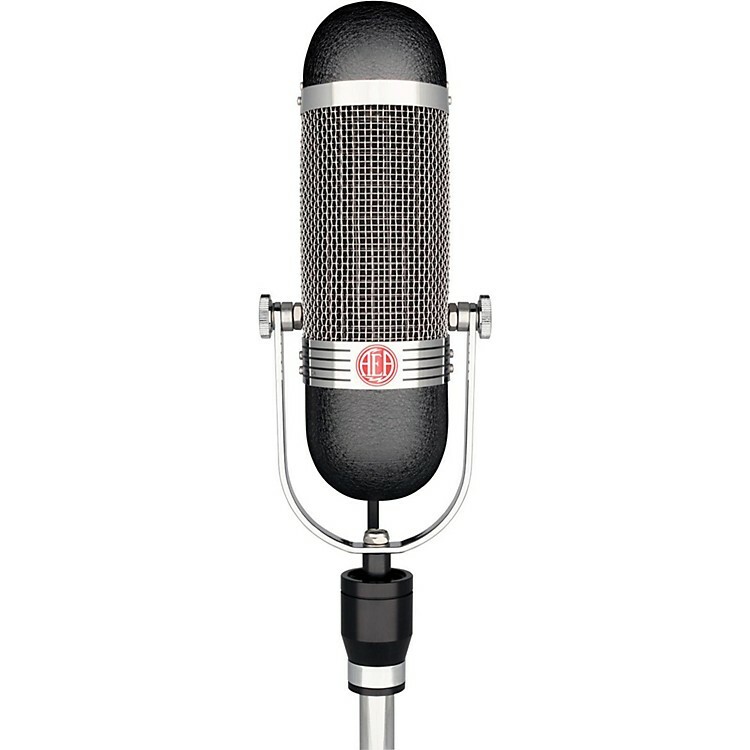 Twenty-two years later, AEA reissued the iconic 44 ribbon mic and has continued to make ribbon microphones in the RCA tradition to this day. From the R84 Workshorse, R92 Up-Close Passive, Stereo R88, and Supercardioid KU4 – there is a AEA Legacy microphone for every application and setting. Same Big RibbonTM, tuning, and transformer as the R44 series. An astonishing technical achievement, and a welcome contributor to any studio. Horizontal: Up to 90 dB rejection at right angles to the front/back axis. Vertical: Level changes with angle of incidence, frequency response is consistent.